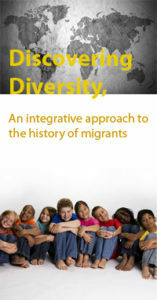 Within the Discovering Diversity project a methodology has been developed that helps history and civic teachers to connect the individual history of students to the local and larger history of migration in the Euro-Med region. The idea behind this methodology has been that discovering the different layers of community history will lead to the discovery of multiple facets of identity, empower communities, and give tools to history and civics educators to teach complex issues through a process of personal discovery and reflection. The project has been a unique international collaboration by historians and history educators from Denmark, Germany, Poland, Slovakia, Morocco, and the Netherlands. This project is part of EUROCLIO's Historiana initiative. Main objective: developing an easy accessible method for history and civic teachers to have access to learning materials for connecting the individual history of the students to the local and grand narrative of migration in the region. To promote social cohesion in the Euro-med region by promoting mutual understanding, tolerance and intercultural dialogue and by combating stereotyping and xenophobia. Develop innovative educational material on cultural diversity and migration in the Euro-Med region that contributes to the overall objective and which can be replicated and expanded. All case studies will be translated in English and be made available in a printable form as well as an integrated online interactive learning tool.This website will also be a platform for continued cooperation. More material will be added by the project partners after the project. Train an intercultural network that has the capacity and the will to continue work that contributes to the overall objective also in the future. 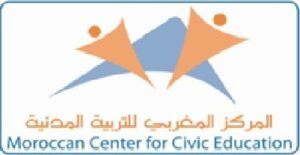 The authors and experts are trained in making material that is inclusive and promotes peace, democracy, tolerance and critical thinking in previous EUROCLIO projects. Because the authors and experts will choice their own case studies and have a big responsibility within the project, they will feel ownership of the program. They will also be used as experts in running and future EUROCLIO projects. Educational material in the form of one introductory lesson, six case studies and one additional oral history lesson on the history of migrants which is accessible and ready to use for the classroom and are used as exemplars for follow up projects. An educational framework that allows adding more material by the project partners and other interested individuals and organisations in future projects. Interest from many museums, archives, policy makers and educators to be involved in trans-national education. The format of the material developed in this project is going to be integrated in the Historiana website to take full advantage of the option to compare and contrast case studies. One of the added values of the inclusion of material on this website, is that the project results are part of a long term dissemination and visibility strategy, thereby reaching new and bigger audiences. Press release: The Hague, 31 August 2011.